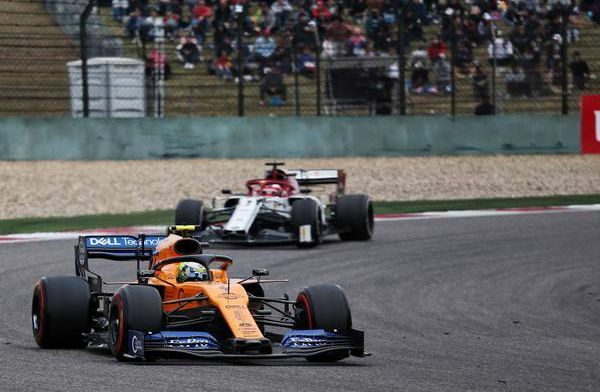 Lando Norris believes that McLaren had the pace to be the fourth fastest team in China but were not able to show this due to both drivers incident with Daniil Kvyat. Norris was forced to retire and Sainz limped to a finish in 14th place and ultimatley McLaren will be disappointed. "On Friday we were quite reasonable. We just didn't take a step forward on Saturday,"
"It was looking good. That's something we need to remember for the next few races: that possibly our race pace is a little bit better than our qualifying pace." McLaren have looked very fast in the past few races but have not yet been able to get many solid results. They will hope that this changes in Baku.